Please use Club Log’s OQRS for requesting either Bureau or Directs QSLs for ZL7G. The full ZL7G log has been up-loaded to LoTW. The full ZL7G log is also be linked to the IOTA Database. We are happy to send you a ZL7G QSL, but your QSL card is not needed. Thank you. Please do not send QSLs through the Bureau to request a Bureau QSL. Use Club Log’s OQRS to request a Bureau QSL from ZL7G. It is much faster using OQRS to request a Bureau QSL than sending your card to request a reply Bureau QSL. We will be despatching ZL7G reply Bureau QSLs directly to each of the national QSL Bureaux around the world. 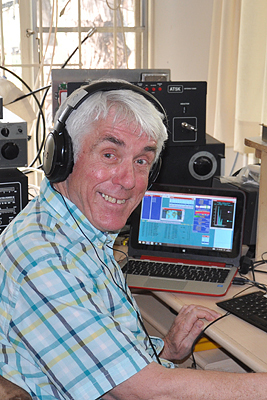 For IOTA-chasers, we have initiated the Clublog island matching facility for the ZL7G operation. Please do not mail letters with Direct QSLs to G3TXF. Use the ZL7G OQRS to request your Direct QSL. OQRS is much faster, cheaper and simpler for Direct QSLs. The ZL7G QSL Manager always replies to all requests for QSLs. But please use only Club Log’s OQRS for requesting either Bureau QSLs or Direct QSLs.